Find out everything that happened today, or last week in a matter of seconds. 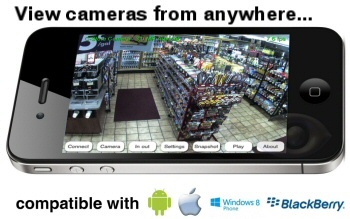 With this fast access to your recorded video, your security camera system will make your life easier instead of harder, which means that your system is infinitely more valuable than systems that don't provide this capability. 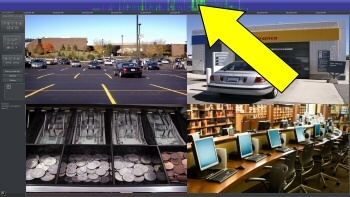 Scan through days or weeks of video in seconds, so you will always be able to see what happened. 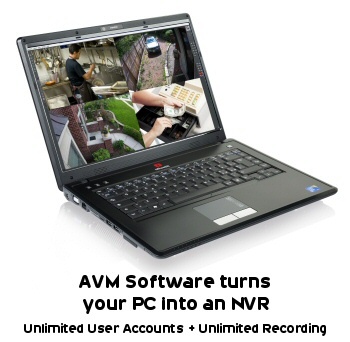 Watch your security cameras from anywhere in the world with this AVM NVR system. Our system has evolved from flip phone access to today's high end iOS and android devices, meaning you get the benefit of 15 years of development and evolution, every time you connect your phone into the cameras. Watch videos in HD full screen, or watch all videos at once. 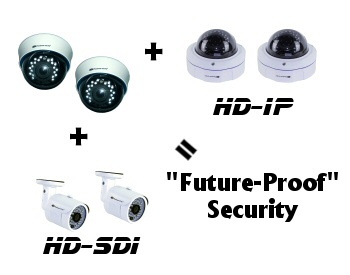 These 1080P HD security cameras are a great choice for home and business applications, delivering 1920x1080 resolution color video during the daytime and black and white infrared night vision after hours, so that you will always be able to see what is happening around your facility. 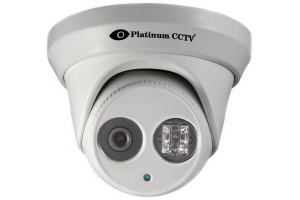 These cameras may be our budget minded cameras, but the are a great choice still for home or small business applications in smaller parking lots, garages, driveways and rooms. 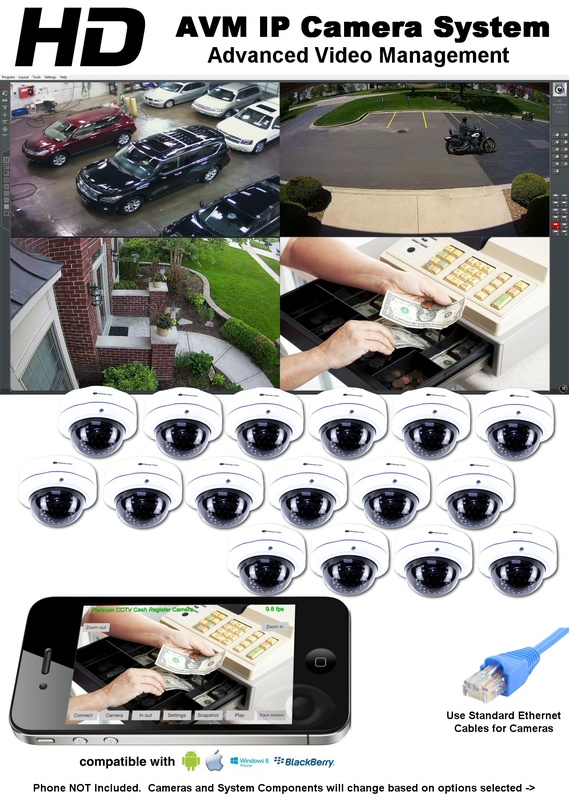 Even with our 16-camera systems, you can continue adding HD-IP cameras of any resolution onto your system as your needs change, up to a maximum of 128 cameras. This means that no matter what, we will still be able to provide coverage for your needs, without having to replace expensive hardware in most situations. Just add cameras as your needs continue to develop. 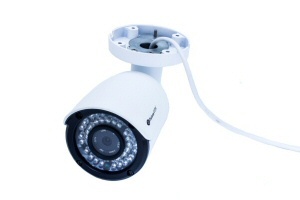 Your security camera system should not make your business network less secure. 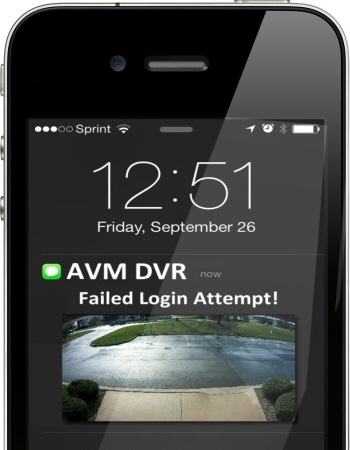 That is why our AVM system is designed with remote access and remote security in mind. This is why it is fully compatible with VPN, VLANs and firewalls, making it a more secure option that is preferred by well informed IT departments worldwide. Standalone/embedded NVRs are not compatible with these, and worse they often open up holes in your security instead. Ever want to see in complete darkness? 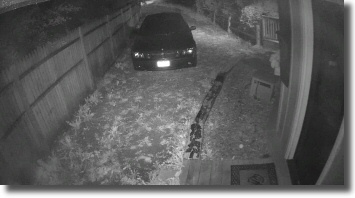 Our 1080P 2 MegaPixel IP cameras do exactly that, allowing you not only to see, but also to record in that complete darkness. Each of our cameras in this package feature LEDs that will project an invisible IR light to the area in front of the camera from 65-100' so that you will see even in complete darkness. 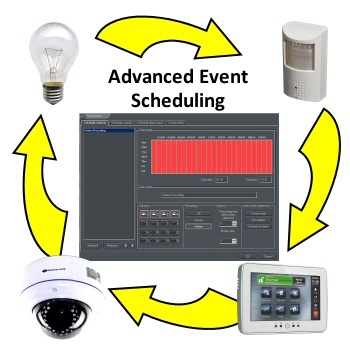 If it is important to know when people are in your facility when you are not there, or perhaps want to know before a sump overflows, then our optional alarm I/O board is a great addition to your security camera system. 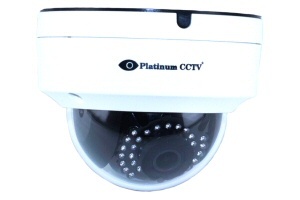 This board allows your cameras to communicate with alarm systems and sensors to provide your system with the intellegent alerting capabilities for text or email. Search through your video based on transaction information like discount codes or specific items, this is what our optional POS integration module will permit. 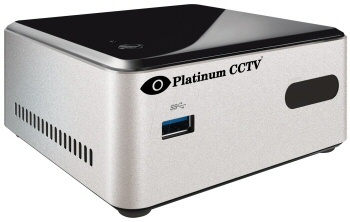 This module also functions with 4K HD IP cameras, not just analog like many. the module connects with virtually any POS terminal right in line with the receipt printer, and is a valuable tool for managing retail and food service businesses. All I can say, nice work guys. I am not great with tech, but the guys over chat were there for me in every way. Before I purchased, they helped walk me through the differences between systems and were very very very patient with me. I have a pretty big restaurant/bar and wanted to make sure this would work. I am still amazed at how good the picture is both inside and outside. 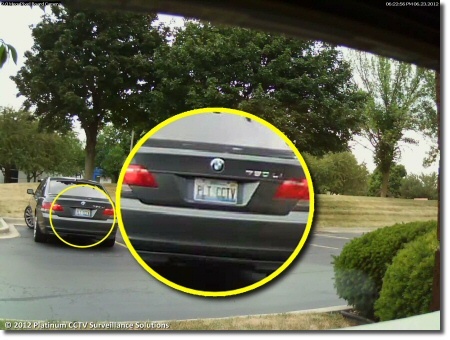 I went with the ugpraded HD6234 cameras and they even helped me zoom the cameras in on some of them so I could grab license plates in the parking lot. These guys have also helped me numerous times when my internet connection was reset and remote connection got lost. after 6 months, I dont have anything bad to say at all...and that is not normal for me.